Putting Research into Action The Regional Educational Laboratory Central translates research to practice with policymakers and practitioners in Colorado, Kansas, Missouri, Nebraska, North Dakota, South Dakota, and Wyoming. The ten Regional Educational Laboratories (RELs) work in partnership to conduct applied research and training with a mission of supporting a more evidence-based education system. Learn more about REL Central. 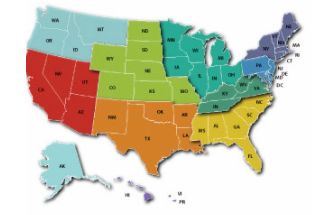 The Regional Educational Laboratory Central translates research to practice with policymakers and practitioners in Colorado, Kansas, Missouri, Nebraska, North Dakota, South Dakota, and Wyoming. Every year, Colorado schools and districts receive performance ratings under both state and federal accountability systems. Both ratings drive school and district improvement plans. This new infographic provides a crosswalk of state and federal school identifications in Colorado. View the infographic now. REL Central is partnering with the Colorado Department of Education to help school staff and community members better understand the complexities of state and federal education accountability systems. One way they will share this information is in a new infographic. Find out more in this blog post. In this blog post, learn how the Missouri Department of Elementary and Secondary Education is increasing awareness of Grow Your Own programs as a strategy for addressing teacher shortages and increasing diversity in the teacher workforce. On average, 10.4 percent of teachers are leaving the teaching profession in four central states, according to a new report by REL Central. Education leaders from Colorado and Missouri plan to use the report’s data to support their efforts to improve teacher retention. Read more in this blog post. Colorado Department of Education staff partnered with REL Central to provide resources and guidance to early childhood teachers and administrators to help them use data to improve program quality and child outcomes. In this blog post, learn how a checklist could provide the support they need. Learn more about the research projects currently underway. More on our Works in Progress. This report summarizes the policies of 50 states covering state interventions with chronically underperforming schools. This resource provides guidance to states or districts wishing to monitor implementation of educator evaluation systems. This recorded webinar provides participants with research related practices in rural districts that have shown success in closing the achievement gap between students who qualify for free/reduced-price lunch and those who do not, and between students with disabilities and students without disabilities.